The NHS is a wide and diverse organisation and there are many opportunities to do business with the NHS at different levels – the East of England NHS Collaborative Procurement Hub is one point of entry. One of the Hub’s key objectives is to develop value for money framework agreements covering both clinical and non-clinical areas, which are available to around 40 NHS Trust members and affiliates across the region. 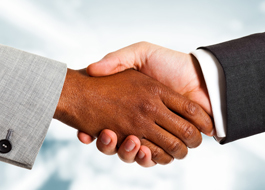 Working in partnership with suppliers and forging good working relationships is central to our mission. The Hub engages directly with suppliers and makes it possible for our NHS Trust customers to procure goods and services at competitive prices, achieved through aggregation of volume across the region. In order to provide maximum benefit for our customers, we undertake extensive stakeholder engagement and develop strategic relationships with suppliers. This partnership working enables robust procurement strategies and processes to be developed, leading to the award of frameworks which represent best value. As a member of the NHS Commercial Alliance and the NHS Collaborative Procurement Partnership, we also run joint procurement projects with other NHS hubs which result in frameworks that can also be used by our partner organisations’ member Trusts across a wide geographical area of England. The Hub’s work plan shows the key projects which we will be working on during any given financial year and where there are opportunities for suppliers to get involved. Projects are added to the work plan throughout the year in response to the needs of our members. The Hub’s e-tendering portal, powered by BravoSolution, enables suppliers to register their details, express interest in current projects and view formal invitations to tender. Our Commissioning Support team supports the bespoke procurement needs of our commissioning customers and Purchased Healthcare procurement opportunities for suppliers are advertised on our website as they come up. Click here to view our list of customers. Click here to go direct to our e-tendering portal. Keep up with us on Twitter! We post news about contracts, conferences and other relevant events on our Twitter page. NHS Supply Chain offers more opportunities to do business with the NHS. Please contact NHS Supply Chain directly for more information about their services. Click here to visit the NHS Supply Chain website. If you are interested in supplying your goods or services to other government departments Contracts Finder https://www.gov.uk/contracts-finder gives suppliers the opportunity to find out more about contracts worth over £10,000. For general queries about our aggregated collaborative projects, please contact cphenquiries@eoecph.nhs.uk.